Our Team : Thunderbird Wealth Management, Inc.
Phil Krznarich is a third generation Arizonan and has been in the financial services industry for over 17 years. Phil obtained the Series 7 and Series 63 securities licenses in 2001, his Series 24 in 2008, and his Series 66 in 2018. Phil has also received an Accredited Asset Management Specialist certification from the College of Financial Planning in 2006. Phil was an Investment Representative with Edward Jones from 2001 to 2007 before starting his independent practice. As the President of Thunderbird Wealth Management, Inc., Phil is completely dedicated to giving his clients sound and professional guidance. His financial knowledge and commitment to helping others is evident from the close relationships he has forged with his current clients. Phil has been married to his wife, Ruthann for 39 years and together they have a son, Justin, a daughter, Jacquie, and two grandaughters, Audrey and Ava. In his spare time Phil enjoys fishing, travel, reading, and being with his family. Justin Krznarich was born and raised in Glendale, Arizona and has a true passion and understanding of the financial markets. 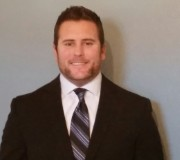 Before becoming a Financial Advisor, Justin served in the U.S. Marine Corps from 2006 to 2010. Justin also has Bachelor degrees in both Political Science and Communication from Arizona State University. In 2014 he obtained his Series 7 and Series 63 securities registrations, as well as his Series 66 in 2018. Justin and his wife Lindsey have a daughter, Ava and plan on growing and raising their family here in the valley. In their spare time, Justin and Lindsey enjoy traveling, camping, and spending time with their friends and family.